While it may seem much easier just to let the legal system divvy up your funds (joke intended), more often than not, the assets wind up in probate and eventually claimed by an estate company or probate courts, which can turn into a nightmare. This can mean a huge burden on your family who is trying to pay the final costs associated with funeral planning and medical bills. It is important to understand how to transfer assets upon your death. It is legal to make a last will and testament without the aid of an attorney or other legal representation in most states. You may well be wondering how to make a will on your own without using someone else to write up the documents. The distribution of your assets to those you leave behind might not matter much to you, but it can mean a great deal to the ones you love and care about. Think of a will as the final effort to make your loved ones cared for and comfortable should you not be there to support them personally. While some people leave a revocable trust to direct the distribution of their assets, a will can transfer assets just as nicely. Before you get started, keep in mind that I am not an attorney and it’s always a good idea to seek legal counsel for the estate and will laws in your particular state and county. This is so you can make sure you cover all the bases legally in your will and with certifying your will properly. These are also good things for you to better be able to judge or interview someone who putting together you will. Analyze your current situation. Are you married, single, with adult children or with minor children in the home? Are any of these likely to be possible in the next one to five years? Depending on the state you live in, these rules can change. Before you get started, read up on local laws and requirements regarding children and spouses. Also, keep in mind any purchases or sales of property or assets. Any one of these changes can negate part or all of the will, depending on the state you live in. Make a list, check it every year and write a new will to prevent your will from being annulled. 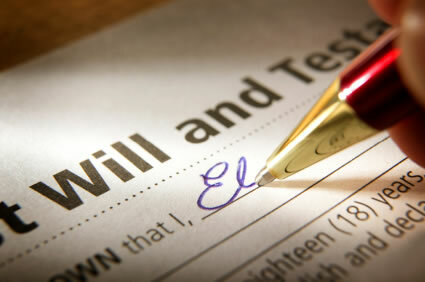 Make sure you type up the will document, hand printed wills are easier to toss out in court. and number and annotate every paragraph, to disprove alterations. Next your full legal name on the fifth line or so down. This should immediately be followed by your current home address where you live at least 6 months of the year. You will then want to write out your social security number and birth date. All of this is done to make things less confusing for anyone looking at it as to who this is for. This is my last will and testament, and I annul and revoke all wills and codicils made prior. I am of legal age to make this will and I am of sound mind and memory. This last will and testament expresses my wishes without any duress or undue influence. Without making these declarations a court or someone could argue that your will is not legal. Before naming the person to carry out your will, make sure they have already agreed to do so and that they sign the document when you are done. The executor of your will is someone who will make sure the wishes set forth in your will are carried out in the manner you express within the will. This person is usually a spouse, but a sibling or best friend will work as well. Name an alternate executor of your will per chance that something happens to the first person before you can change the will. This will leave less chance for the assets to get stuck in the court system and mean more of the assets actually reach the intended. Make sure the executors have the power to to sell or divide up your property in the event of your death. Also provide them the power to to pledge any leases, mortgages, or payments of properties should you be unable to. Empower them with the ability to pay any funerary expenses, taxes, or administration expenses. If you wish them to do so without a bond, make an explicit request of that in the will. 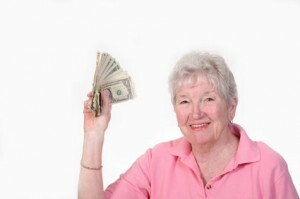 This process and request within the will provides simplicity for your heirs and allows for payment of any expenses. Providing the executor power to sell any property that may need dividing up between the siblings. A bond will serve this nicely and ensure that the executor will not abscond with any portion of the estate before it can be divided up among the beneficiaries. However, a bond is expensive and the funds will have to come out of the estate, so weight the decisions here carefully. This next part can be tricky. Children under the age of 18, and especially those named in your will, will need care, especially if the other biological parent is unable to provide such care or if neither of the birth parents survive. These minors may be biological children or grandchildren or even adopted children of either non-surviving parent. Naming a guardian of minor children is one of the most important parts of a will, more important than the financial assets listed. Don’t make a guess at who would be willing to take on guardianship of the children, find a person or married couple who are well acquainted with the children and who are in a position and willing to take over their care. The last thing you want is the courts handing the children over to foster care, for adoption, or to a family member ill-suited to childcare. Even if you do not have other financial assets, make sure you create a will regarding the continued care of your children. Make it very clear who your beneficiaries are, especially if your beneficiaries are minor children. Use full names and addresses as well as signatures, if possible. Leave no doubt about their identity. In the event that the primary beneficiary fails to survive, name a secondary. Be sure to keep these beneficiaries up to date as well, here is a supreme court case outlining why it is important. Make a clear distinction if the assets are to go into a trust fund for surviving minor children, who has access to this trust, and how much access they have. In some states regardless of who is named beneficiary, it may still be legal for a surviving spouse to receive a portion of or all assets. Make sure you know and that it is clearly stated in your will. Make sure you spell out all your assets and their recipients. Understanding that anyone with whom you own joint property will now own 100% of that property regardless of who is named in the will. This goes for retirement beneficiaries as well. So name any and all assets which are not already spoken for through joint ownership, unless these are spoken for by a spouse. Which is a whole other matter for a joint will. Not only will you need to name beneficiaries and the percentages of the assets they are to receive, you will also need to account for any life insurance. Make sure the totals match a 100% so there is no question. Remember to leave a residual clause as well, to tell the courts what to do with any assets you might forget to mention. This is one section that may be well worth it for you to pay for a little legal expertise. Remember to bequest other properties, which may or may not have monetary value, and any donations of remaining property. This section is primarily used for non-family beneficiaries, such as organizations, friends, or colleagues. This section is especially used to name specific recipients of certain items. This is where you detail the plans for your remains. Although macabre in feeling, it is to insure you are cremated or buried as per specific instructions. This section usually also details out funeral arrangements and memorial services. Especially those prepaid for. Here is also the place to request things like certain flower arrangements or set out detailed family services. This will vary from depending on your state. Generally you will need three witnesses and a notary. You will need to sign the will with your witnesses in front of a notary, being sure to sign every page. Identify each witness by name in print, prior to signing and word the section noting that they are of sound mind, not under duress or influence and of legal age to carry out your wishes. These witnesses must indicate that you were present at the time of signing and cannot be named as beneficiaries or relatives. Beneficiary has died, or you just want to change it. Change in marital status, gotten divorced or married. No longer have an asset that is listed. Have new assets you want listed. Moved to a new state or location. There are some others but this is a good checklist to follow for yourself as you glance at your will. Try to look at it yearly if possible, but if not be sure to go over it after you have changes in your finances, relationships or other large changes in your circumstances. While you are going over this for your will it is also a good idea to keep in mind all the other accounts you have out there that have beneficiaries on file by contract or law. Is it time to update or change any of those as well? Finally, make copies of your will and only send it to the executor and your attorney, if you have one. Tell nobody, except the executor, where your original copy is stored, simply make sure it is in a place where it will not become damaged, such as a safe or safety deposit box. And there you have it, now you are all set up and know how to write a will. Now might be a good time to talk to your parents about all of this as well, make sure it is taken care of now so you don’t have to deal with their headache. This is great information. The hardest thing to transfer tends to be real estate because you can't add a beneficiary. So it often has to go through probate. That's why some may use a revocable living trust. They used to be very expensive, but with the advent of the internet the can be obtained very economically. Not for everyone, but something to consider. Keep up the good work! Awesome overview! I don't have a will, but I know I'll want one within the next few years. 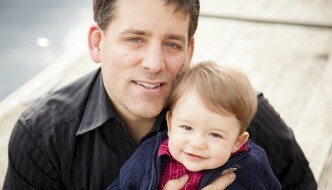 I think as soon as I have some assets and possibly a child or two, a will becomes much more important. Until then, my wife just gets everything I leave behind. Nice write-up! We had our will done several years ago after we started having kids. We hired a lawyer rather than doing it ourselves and was well worth the cost. Perhaps I should print this article out... I actually have assets to pass on now, which is crazy.